In addition to this, there are a number of important steps you need to take before applying in order to increase your chances of being approved and securing the financing that you need. It’s important that you choose a bank that has your best interests at heart and will ensure you find the loan solution that provides you with the best interest rates, helping you continue to increase your wealth in the long run. It’s possible for anyone to need a loan at some point, but before making any final decisions, you will want to sit down and identify your income vs debt on a monthly basis. Knowing what you bring in monthly and what you pay out each month can give you a gap. This gap is what you will need to use to pay for that loan or mortgage. If you have a private banker, then they will have all this information readily available and will be able to help you secure the best financial product to meet your needs. Set yourself a budget. When setting a budget, never leave out the holidays and expenses you have in addition to your set monthly expenses. This should be entertainment and travel, for example. Write down your budget, it’s always easier to manage it that way. Once you know your budget and you know what you bring in each month, with copies of your payslips, you are almost ready to meet with your banker and advise them of your needs. It’s very important to have your assets and financial reports ready and at hand when applying for any financial product where you are borrowing money. Speak to your banker before the meeting to identify what documentations will be needed and what information you will be asked to provide. Knowing this can help you prepare effectively and be ready with all the information needed, so a decision regarding your application can be made without delay. Know your credit score. This is very important. Most banks these days offer you the chance to get your credit score online. You need to know you have a good credit score. Look at your past payment history and your current history, what amounts do you owe, how many people do you owe and have you missed any payments for any reason? Also ensure you haven’t applied for any other financing in the past couple of months, ideally not the past three months, in order to increase your chances of approval. In addition to this, don’t set your expectations too high. The high street retail banks have set exceptionally high qualifying criteria for their loans, whereas if you are with a private bank, they will have the right products based on your needs. Remember that if you are considering any bank, you will want to do your research. You know what you need to do to secure the loan, and now you need to choose which bank you borrow your money from. Focus on the interest rates provided by the bank, of course you want to pay the least possible repayment on the loan itself. 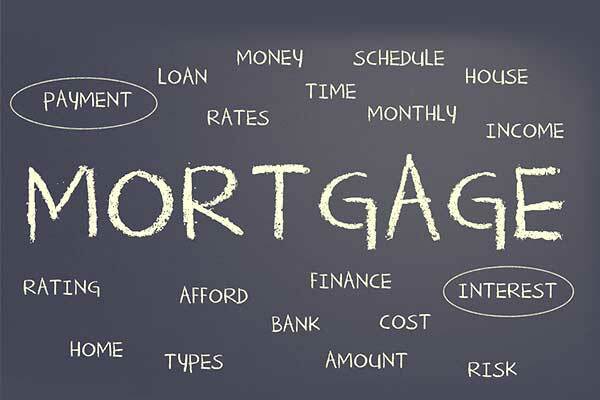 Most mortgages are made up of a large percentage of interest, so ensure you take this into consideration when looking for the right loan to meet your particular needs.